The results are in, and the facts are clear. Verizon’s lost their network advantage and had to cave-in on unlimited data. And, because this was all so predictably “carrier” of them, the Un-carrier was ready. 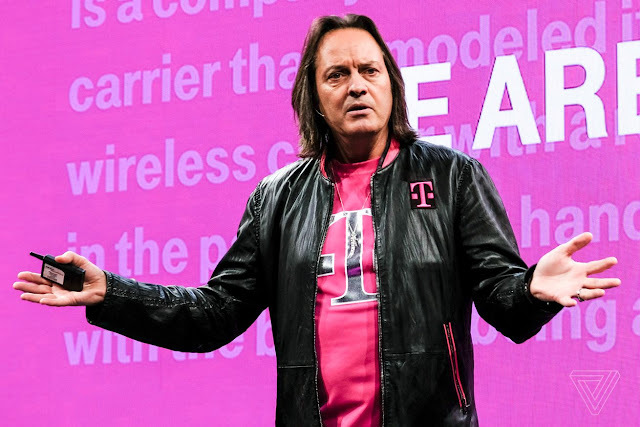 Days after OpenSignal ranked T-Mobile (NASDAQ: TMUS) and Verizon neck and neck on speed and LTE availability, Verizon began pitching its own unlimited plan today, reversing course on all their previous rhetoric about unlimited data. And today, T-Mobile announced the addition of HD video and 10GB high-speed Mobile Hotspot data to T-Mobile ONE – all at no extra charge – and all with monthly taxes and fees included. Right on top of that, the Un-carrier introduced a new offer of two lines on T-Mobile ONE for just $100.